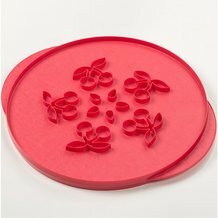 Pie cutter helps you to create gorgeous designs. 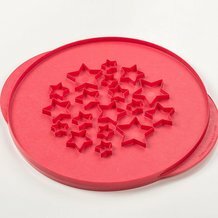 So easy to use, just roll out dough and press cutter onto dough. 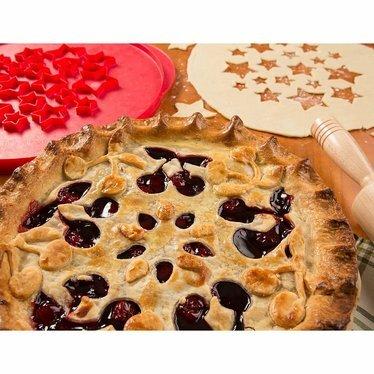 Cherries design on one side and stars on the other. 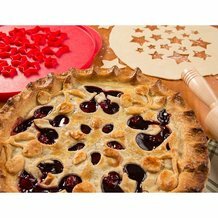 Pies are such an American tradition and I love to make mine not only delicious but attractive fun and interesting. This tool helps a lot.